Schwannoma is a benign nerve sheath tumor composed of Schwann cells. Schwannomas originating from ganglia are rare, and schwannomas of the submandibular ganglion or glandular branches have not been reported to date. We present a case of a Japanese woman in her sixties with a submandibular schwannoma originating from the submandibular ganglion, mimicking a submandibular gland tumor on radiological findings. 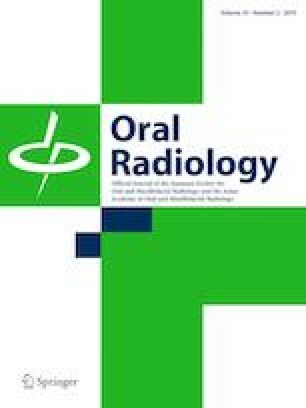 As the radiological findings were nonspecific, the key finding in the present case may be the characteristic location of the tumor suspended from the undersurface of the lingual nerve and situated above the deep portion of the submandibular gland. The authors thank Ms. Yukiko Ishii for her illustration in Fig. 3. Akira Baba, Katsuhiko Sakai, Yumi Okuyama, Hideomi Yamauchi, Nobuhiro Ogino, Kazuhiko Hashimoto, Yasuaki Hasegawa, Yuki Seto, Shinji Yamazoe, Yuko Kobashi, Takuji Mogami, Takeshi Nomura, and Hiroya Ojiri declare that they have no conflict of interest.